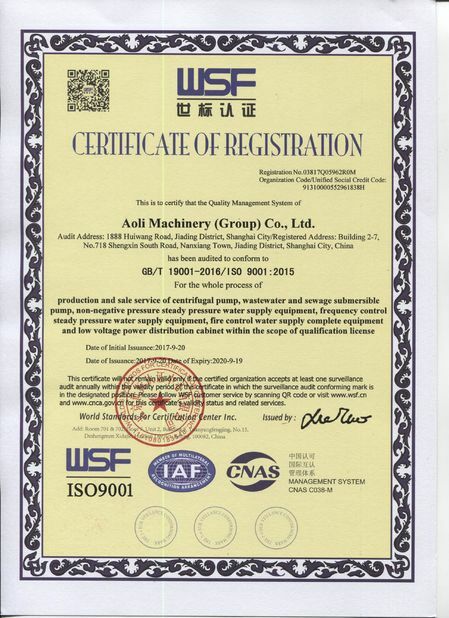 Agricultural irrigation, transfer water ,etc. D (DF, DY)and DG are horizontal, single-suction and multi-stage centrifugal pumps. Their suction inlets are in a horizontal direction while their discharge outlets are upward and vertical to the horizontal line. Their case part, including water inlet section, middle section, water discharge section and bearing body, are integrated through the tension bolts. The pump stage number can be selected in accordance with its lift head. (The water pump's inlet and outlet directions can be customized). The rotor part of this series is mainly made up of the shaft and such parts mounted on the shaft as impeller, bushing and balanced is c. Of them, the impeller quantity is subject to the pump stage number. The parts mounted on the shaft are fastened with flat keys and spindle nuts to make them integrated with the shaft. The whole rotor is supported by rolling or sliding bearings on both ends. The bearings, subject to different types, all bear no axial force. Instead, the axial force is balanced by the balance disc. When the pump is running, the rotor is allowed to move an axial movement in the pump case. The annular ball bearing is not allowed to be used. 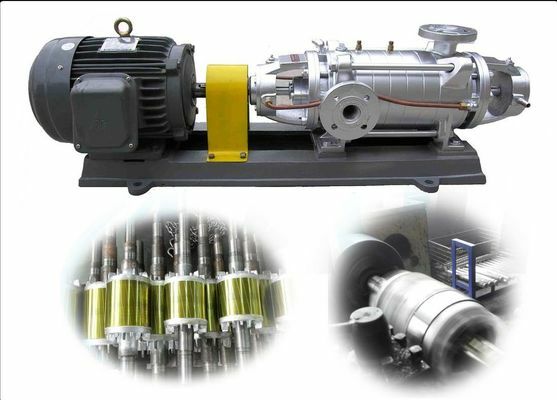 The rolling bearing shall be lubricated by grease while the sliding bearing by thin oil with the oil ring for self-lubrication and the circulating water for cooling. The sealing surfaces between the pump's water inlet section, middle section and water outlet section all adopt the molybdenum disulphide grease for sealing. There's a sealing ring, a guide vane bushing and so on mounted between the rotor and fixed parts for sealing. When the sealing ring and the guide vane busing are so worn to have an impact on the pump's working performance, they shall be replaced. The shaft seal has two modes: mechanical and packing. D pump adopts the packing seal mostly while DF and DY pumps adopt mechanical seal generally. Incase of packing seal, the packing rings hall be positioned accurately with a proper tightness of packing, subject to such a standard that the liquid can seep drop by drop. All sealing elements of the pump are mounted in the sealing chamber with a certain pressure of water inside the chamber for the purpose of water seal, cooling or lubrication. There is a removable bushing mounted on the shaft seal to protect the pump shaft. DG pump sub-high pressure pump adopts the structure of sliding bearing with thin oil lubrication generally. DG85-67 and DG 155-67 pumps adopt the structure of either sliding bearing with thin oil lubrication or rolling bearing with grease lubrication. The rest types all adopts the structure of rolling bearing with grease lubrication. Generally the major part so flow/middle pressure pumps adopt high-quality cast iron while those of sub-high pressure pumps adopt cast or stainless steel. This series is directly driven by the prime motor through the elastic coupling. When viewed from the prime motor direction, the pump rotates clockwise. 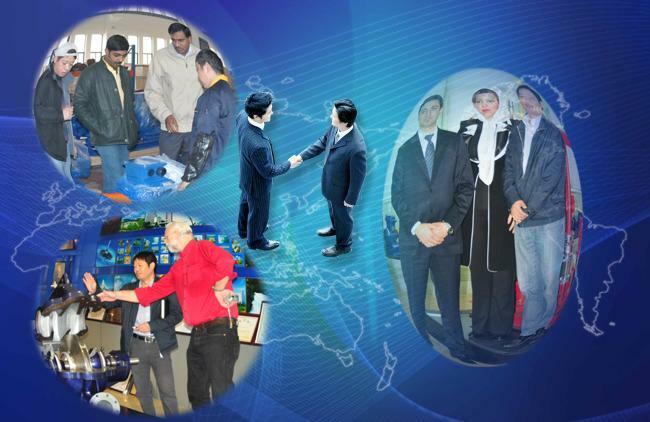 ·"Quick and effective service" is the orientation of Aoli's customer service by streamlining the service flow to reach the service site Instantly.